Jim Morris has worked for newspapers, radio, television and various Websites for more than 47 years. He has been a writer, an editor, an editorial writer and a columnist. For 23 years, Morris worked for the Troy Daily News as sports editor, managing editor and executive editor. In 1994 he began working at the Dayton Daily News as an outdoor sports columnist and night sports desk editor. He retired from the DDN in January of 2010 and is now a freelance writer with his own Website for outdoors stories. Time to grab your rods-n-reels and head out to spend some time fishing from a bank or boat. There is no better time of year. But don’t forget your fishing license! Spring fishing is in full swing with reports of good crappie and catfish catches at Grand Lake St. Marys and excellent bass fishing at Rocky Fork Lake. 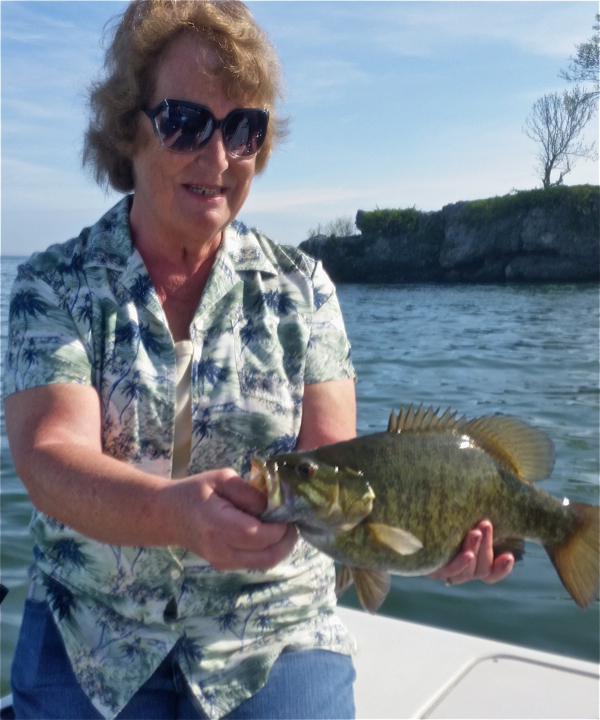 Going on the annual report of Debbie Walters, fish management supervisor for District 5 of the Ohio Division of Wildlife, here are my best bets for southwest Ohio lakes. But before we go lake by lake, here are the District 5 top picks: crappie and bluegill: Grand Lake, channel cat and bass: Rocky Fork, saugeye/walleye: C.J. Brown, musky: Caesar Creek. We agree on moist of them, except my area includes Indian Lake and hers doesn’t. So I say the best saugeye fishing is at Indian, hands down. Otherwise, I’d say our picks are the same. Acton Lake: The outlook is excellent for bass and bluegills and good for crappies, saugeyes and cats. It’s 9th in the state for spring bass. Caesar Creek Lake: For all species, the fishing is rated good, except white bass which is very good and fourth in the state for numbers of fish. Musky fishing was the best ever in 2017 with 215 caught, the largest 49.25 inches. C.J. Brown Reservoir: Channel catfish are rated excellent and walleye fishing is very good. Last year’s largest walleye was a 12 pounder. Clark Lake: It’s a trout lake, so it’s rated excellent. It’s good for bluegills and cats, but only fair for crappies and bass. Cowan Lake: This lake is rated very good for crappies, bluegills and white bass and good for everything else. Catfish are rated excellent. East Fork Lake: Hybrid striped bass fishing is rated very good with the rest rated good. Musky fishing has been poor and stocking has been discontinued. Eastwood Lake (Hydrobowl): Crappie fishing is only fair, but bass and bluegills are good. Channel cats were stocked and are rated excellent. Grand Lake St. Marys: Crappies are the name of the game – fourth in Ohio for numbers and 8th for average size. Catfish are rated excellent. There are a few flatheads. Yellow perch population is developing. Kiser Lake: Bass and bluegills are rated excellent, but crappies only fair. There are some nice size hybrid striped bass lurking on the bottom. Indian Lake: It’s the “saugeye capital of Ohio.” The largest last year was 26.3 inches. The top spots for saugeye have been Moundwood, Lakeview harbor, south bank, Blackhawk and Dream Bridge. All other species are rated good. Kiser and Indian forecasts are courtesy of District 1 supervisor Marty Lundquist. Lake Loramie: If you’ve ever fished Loramie, you know the catfish are rated excellent, including bullheads. Loramie ranks second in Ohio for crappie numbers over 9 inches. Bass, bluegill and saugeye are rated good. Paint Creek Lake: Crappies are the ticket in 2018. Plenty of blacks and whites. It’s rated very good for bass and catfish. Fishing is good in the tailwaters after a discharge, especially for saugeyes and catfish. Rocky Fork Lake: The ratings are excellent for white bass crappies and bluegills, but the lake has been known in recent years for largemouth bass. It’s also a very good saugeye lake. Rush Run Lake: Stocked with rainbow trout. Also very good for bluegills. Cats and bass are good. Stonelick Lake: Stocked with trout. Crappies and bluegills are good. Sycamore S.P. (Trotwood) and Tawawa Lake (Sidney) are stocked with rainbows. Great Miami River: Smallmouth bass are prevalent around rocky shoreline areas. Plenty of carp, rock bass, catfish and suckers. Best fishing is below dams. Little Miami River: A wide variety of fish includes smallmouth and largemouth, rock bass, catfish and bluegills. Mad River: Stocked with brown trout in upper region. Smallmouth bass fishing is good throughout. Stillwater River: There is a good population of smallmouth bass. Largemouth, rock bass, crappies and catfish are present. Ohio River: Plenty of opportunities for a wide variety of species. Known for bass and catfish. If boating, watch out for jumping Asian carp. Our comprehensive selection includes over 1500 guns, a full line archery “Pro Shop”, shooting & hunting clothing, boots, ammunition, reloading equipment, gun cases, holsters and a multitude of other shooting & hunting accessories. Olde English Outfitters meets the needs of serious sportsmen and casual enthusiast alike. This is truly a store for all your shooting and hunting needs. Open this year’s hunting season with a trip to Olde English, proud to sponsor outdoors columnist Jim Morris on Press Pros Magazine.com!